A website doesn’t just mean pages after pages of content. Yes, the content you provide in your website is certainly important. Especially if you’re starting a website about a particular product or service. Then the content of the website must be of the best quality. But before that, you need to make sure people actually read that content. 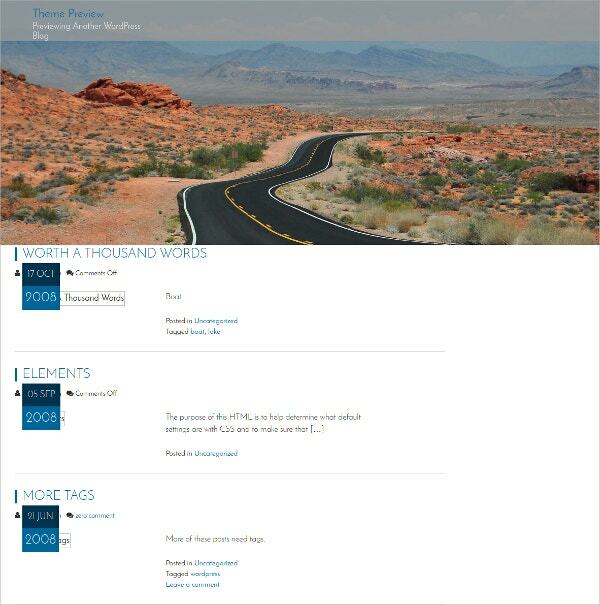 You May also See Responsive Blog Templates. There is no point in creating a website, if customers do not seem to read beyond the first page. What you must understand is that all the people visiting your website have a very short attention span. You need to be able to capture their attention in that short span and the only way of doing that is by using responsive websites. 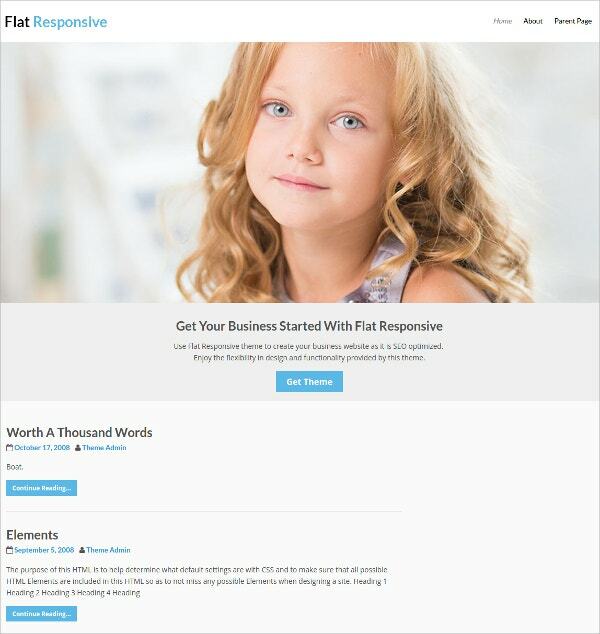 You May also See Free Responsive WordPress Themes. Would you love to show something specific to your visitors? Like hotel or jobs or places? Then here is the pick for you. It has You May also See Free Responsive HTML5 Website Templates. Multiple color and font support. By using this template, you can make sure that you are not annoying your visitors with unwanted or irrelevant data on the home page. If you are the one who is in each for a template that matches the selling of electronic goods like a laptop, this is the best choice for you. The characteristics of this template include You May also See Responsive Magento Templates. This template is designed with utmost style and comfort. This can accommodate as many menus and so you can add enormous products as well. With this template, you can highlight each and every product in the line and can invite more and more users each day. This will suit photographers, artists, directors, painters and almost all sorts of bloggers. This is cross browser compatible and 100% responsive too. The colour options and font integration of the template will allow you to customise it beyond expectations. From the design of your template, the user will be well aware that you sell quality and vibrant products. 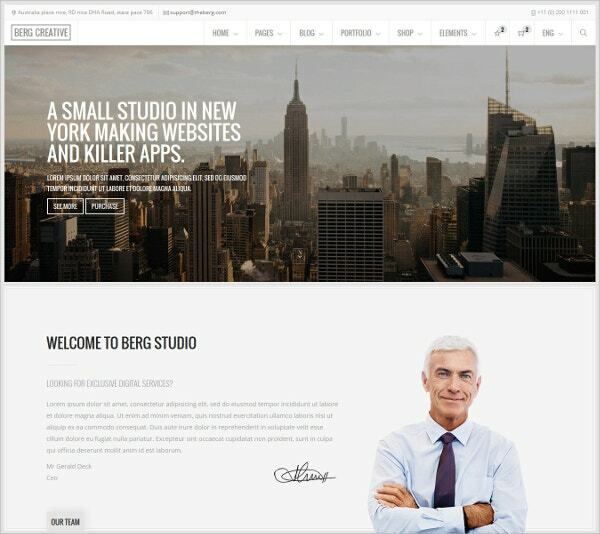 This template will make a right partner if you live simple, elegant and beautiful design for your business website. This template will make your visitor understand about your perfection and preferences form the design. Let deign speak for you! This template is one of the best with the simplest design and the fastest performance. This template works very well with simple products or can be used for personal uses like profile creation as well. When the selling is wise, the template that you used should be wiser. And there is no other wiser template than free WordPress template. This template will tell the places, your views and desires to the world at full voice. Usable and customizable admin panel. This template will show off your passion and intention with its colors and structure. This template has got a wide variety of options for you to try out with. This will ensure you a lot of site visits too. 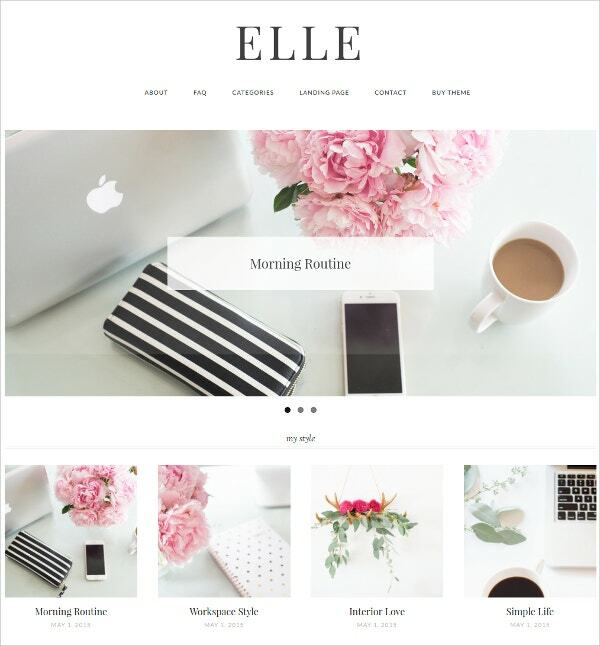 The WordPress Theme Elle is a super stylish one meant for feminine related blogs and websites. 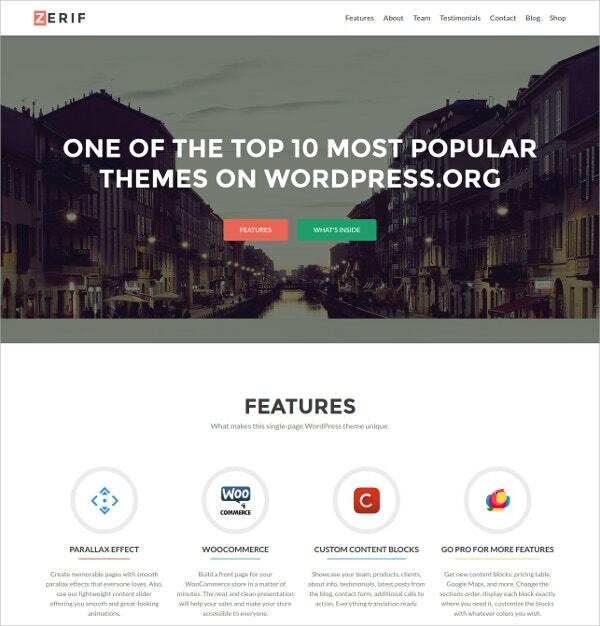 The first look of the theme itself is very stylish and attractive. The theme has varied features to offers. The very first feature of the theme is that it can be customized with any color. It features search bar and also social media icons. Other features include custom widget, different slider style and user friendly design. On installation you will get a zipped folder for the theme and a set of instruction for its usage. This is a perfect template for websites for online stores. The template has been made responsive so that it can be operated from almost all devices. Sides can be customized in the templates for various promos. Images, menu and background videos can be customized. Google map and social media is an added feature. The template offers to have contact forms and testimonials where the customer names are provided with their images. 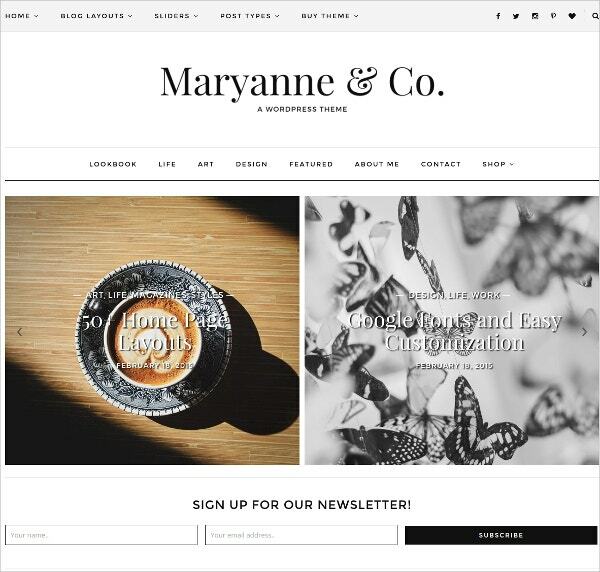 The theme is perfect for business portfolio and is known for its clean yet trendy look. The template works on HTML and CSS and is highly customizable. 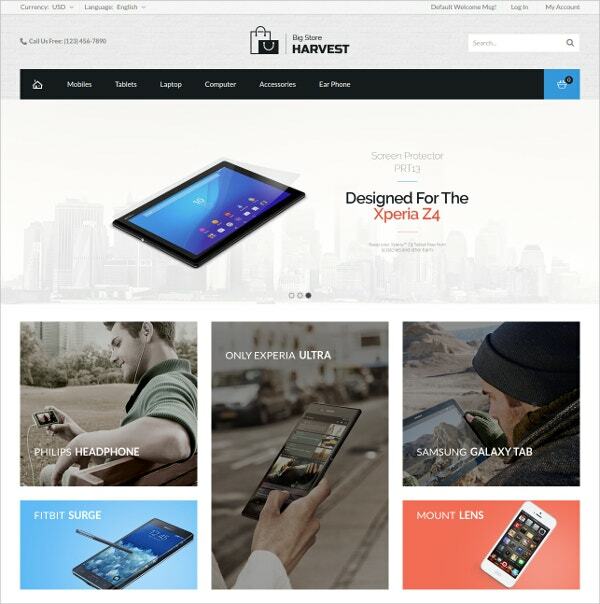 The theme is very much responsive for desktops, tablets and smart phones. The grid based layout of the theme makes it extremely easy to operate. The pages or the blogs are well supported with videos. Any type of customization that you perform on the theme is highly compatible with the smartphone version of the website. 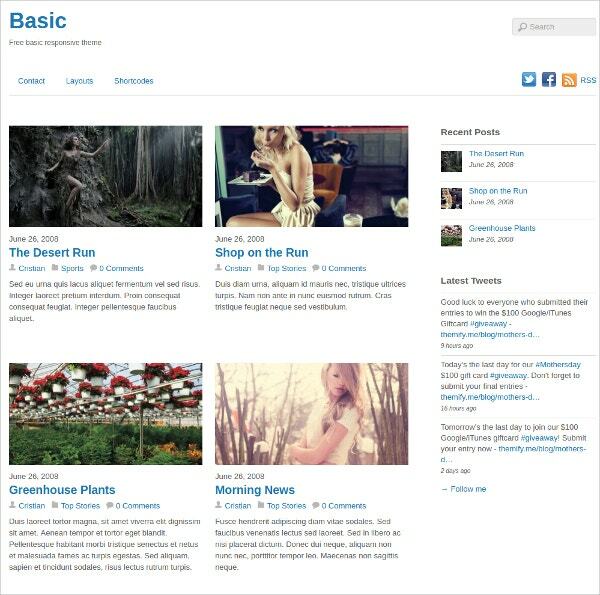 This theme is perfect for blogging and also for the portfolio websites. 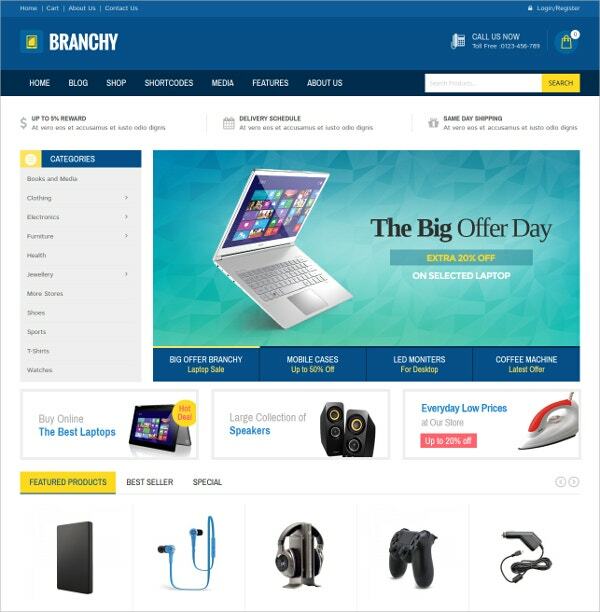 The responsive theme offers a number of features for your benefit. The theme provides an elegant design for a much professional look. Customize your fonts and designs to offer an attractive post each type. The menu of the theme is clean and engaging and is also designed in slides. The theme is SEO optimized and is compatible to almost all the major web browsers available. As the name suggest, this is a highly responsible theme and it very much compatible with almost all screen whether on desktop or tablet or even on a smartphone. The theme features 4 different styles to be used. Customized menu and quick buttons allows your visitors to browse easily. Customized fonts, slide shows and others are added features. 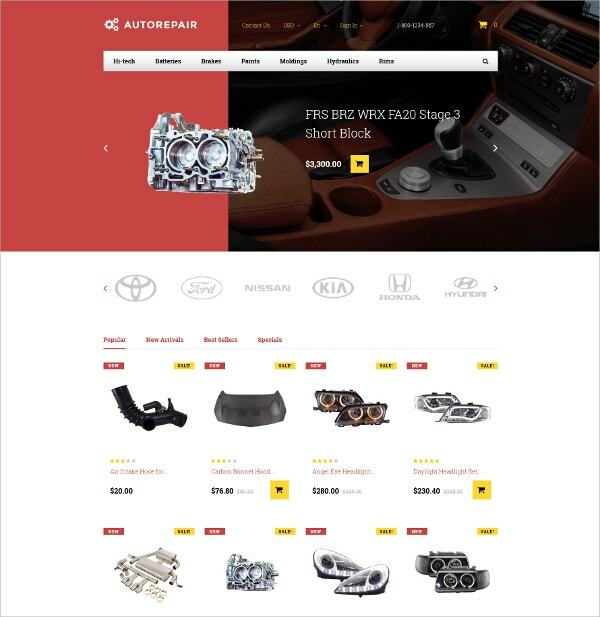 The pages of the theme are high adjustable with various videos for the products. 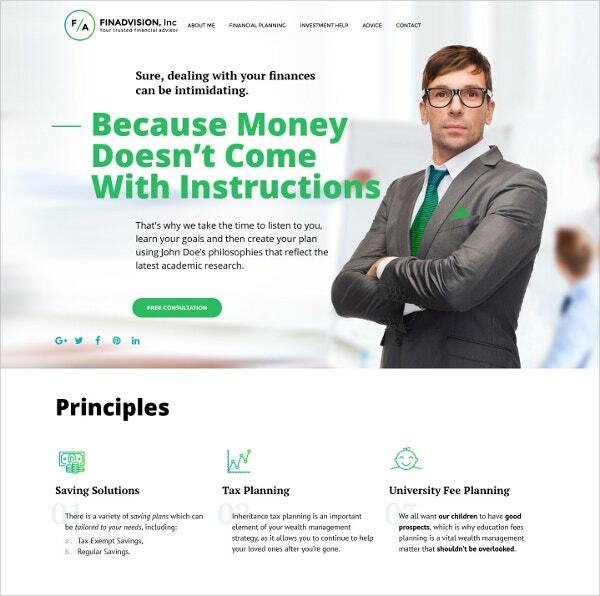 This is a responsive website theme that is perfect for websites related to finance. The 24 hours customer support acts as a back support for any problems that you face. The theme features stocks photos that are free for life time. It features a contact form for the visitors to leave a comment or feedback. It offers customization of menu, widgets and design as per requirement. The theme is made easy to navigate and also features various modern options such as social media. It is a responsive website theme that is SEO optimized and is compatible with almost all the available web browsers. 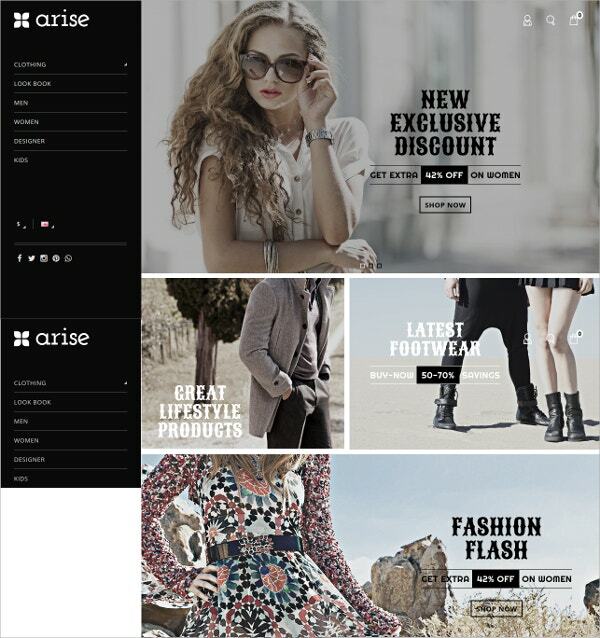 Prestashop Theme is meant for fashion store such as clothing and watches and also for other items such as alcohol. The SEO optimized theme is also responsive in nature with other features. The theme features more than 100 professional animations and other effects. It has endless number of customization options. It is supported by multiple skin and various Google fonts. The flexible layout of the website is user friendly and is supported by CSS3 and HTML5. 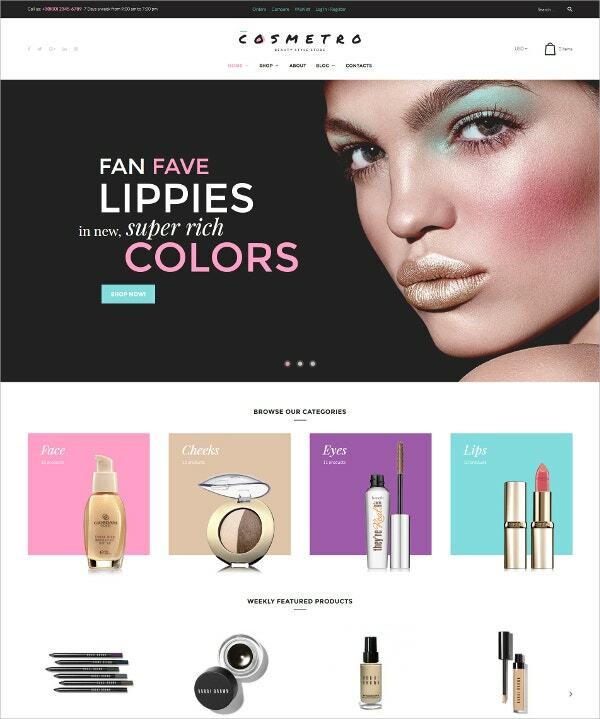 This particular theme is known for its glamorous use for different products and websites. The most important feature that makes it different than others is its glossy finish. 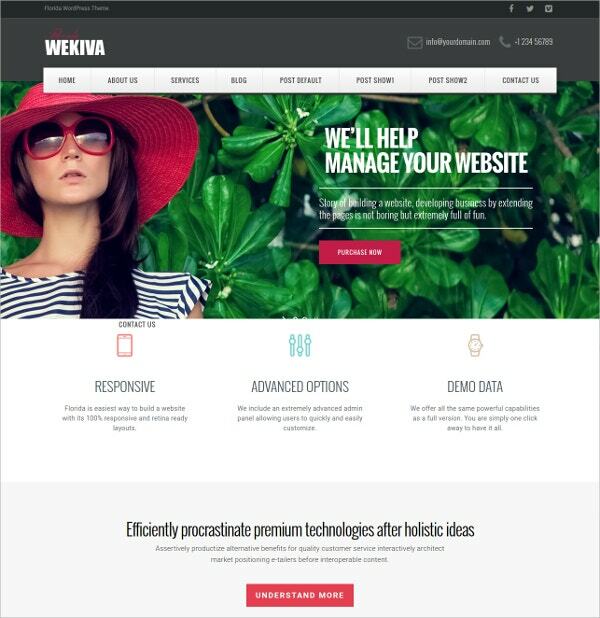 The theme is 100% responsive and also retina supported. It supports numerous theme options as per the product that you will be highlighting. It is also supported by a number of plugins for better functioning. The theme allows choosing from a wide number of image sizes and also provides a good homepage set up. 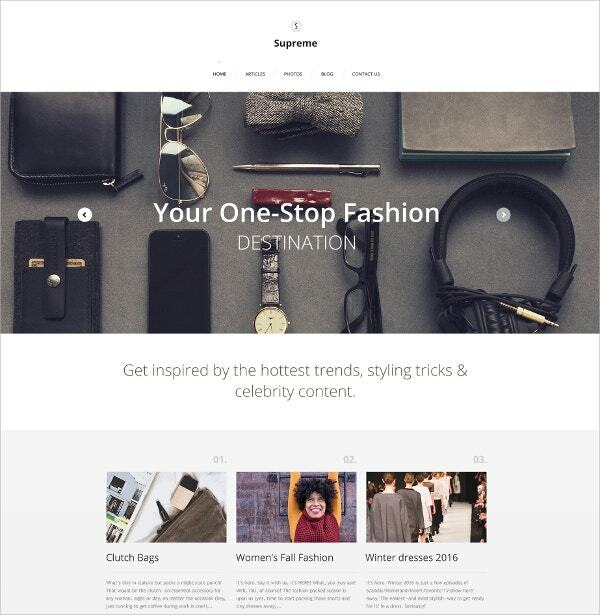 This is a template mainly for the ecommerce websites that are based on fashion. The attractive looking responsive website template offers you with a number of features. It offers a number of customization options. The interface is navigational and user friendly. It offers various modern features too such as social media. 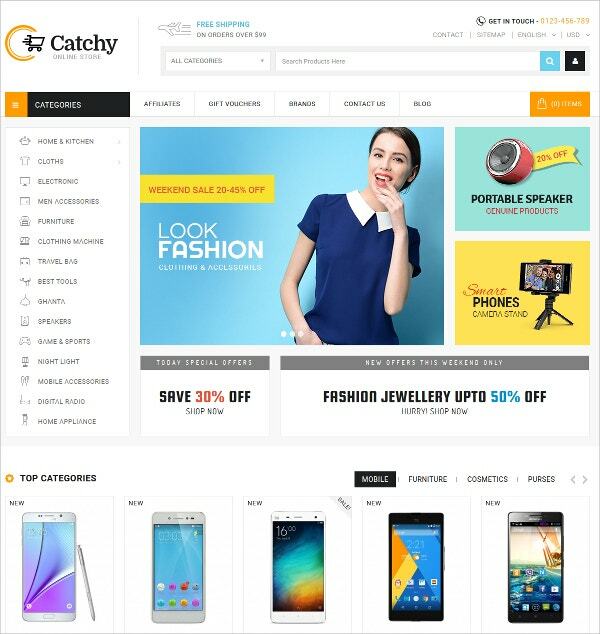 Extra features such as galleries and chat options make it super professional and worth an ecommerce site. As the name suggests, this particular template is for all types of purposes whether it is a blog or a website or even a company portfolio. The theme is clean and simple and is mobile friendly. There is multiple numbers of drop-down menus and can be available in multiple languages. Footer can be extended to 4 blocks. The theme offers a professional look and also offers social site options to be with the modern time. 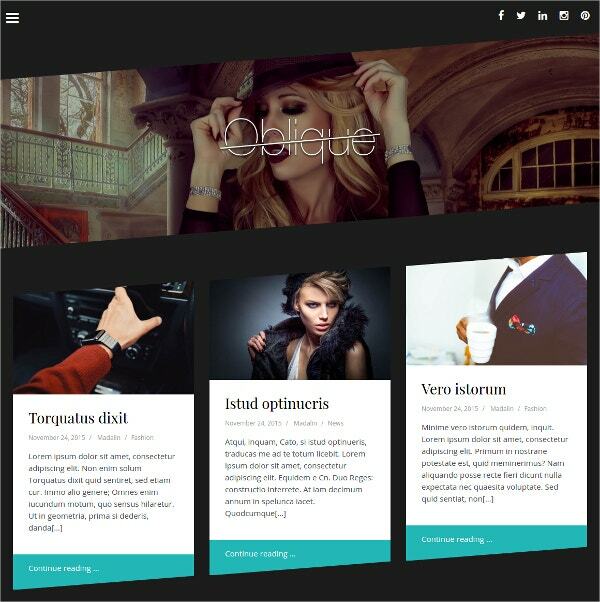 If you are searching a professional theme seriously for your business site, then take this theme. This is mainly for business sites and its main feature is its responsive nature. It is also retina supported in case of graphs. 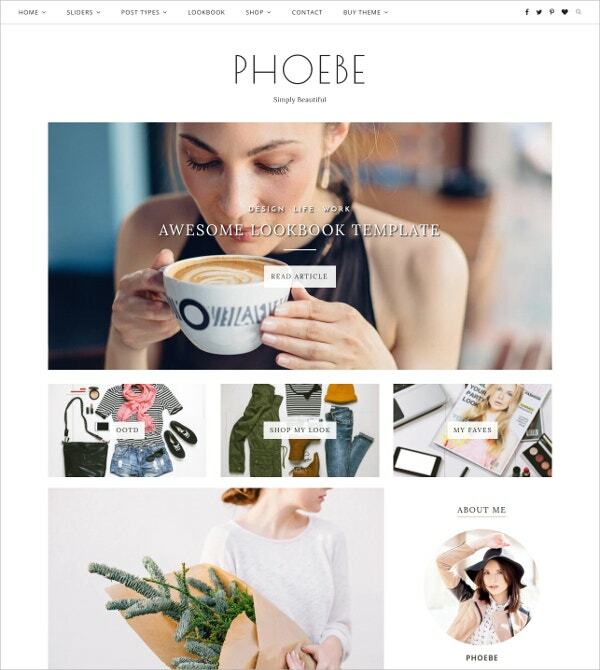 It has various layouts for blogs and various templates. Various options for typography enhance customization. 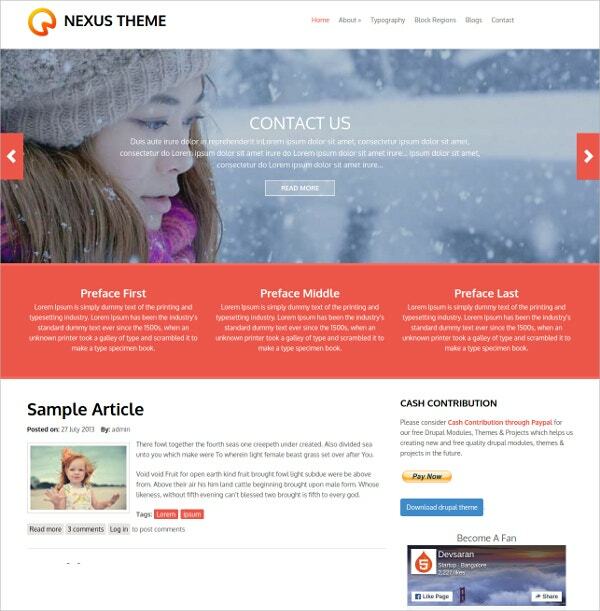 The theme also offers Woocommerce and supports custom child theme with video tutorials. 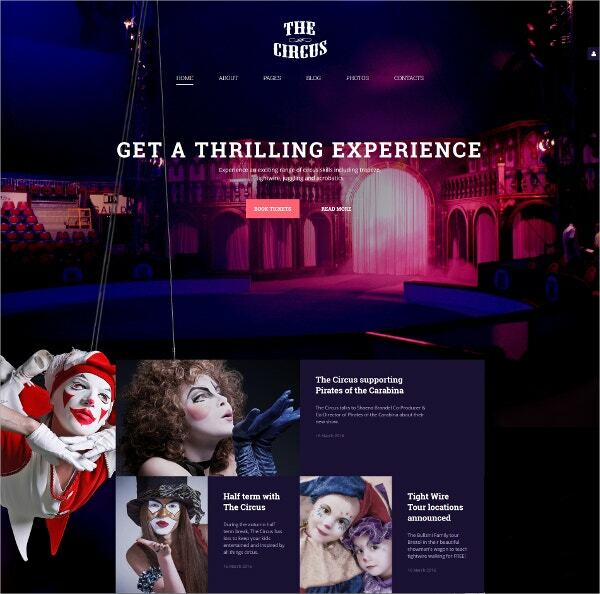 As the template name reads, it is a perfect template made for the websites offering circus entertainment. This particular template also provides various features. This template is responsive in nature and is supported by HTML and CSS. The menu sticks to the top and drops down. There are various color schemes to switch. There are many more features to have such as Google maps, Google fonts and contact form with the template. As many as 6 numbers of layout designs. Mega menu provided as vertical. Images can be cloud zoomed. Quick view option and slider that is full width. The theme is responsive in nature and also offers customization, technical support and ease of working. 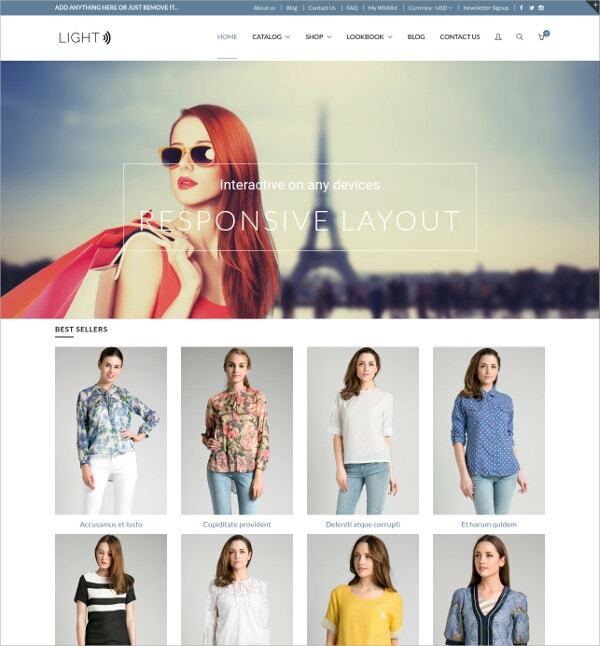 Light is not only a responsive site theme for online stores but also is light in looks as per its name. 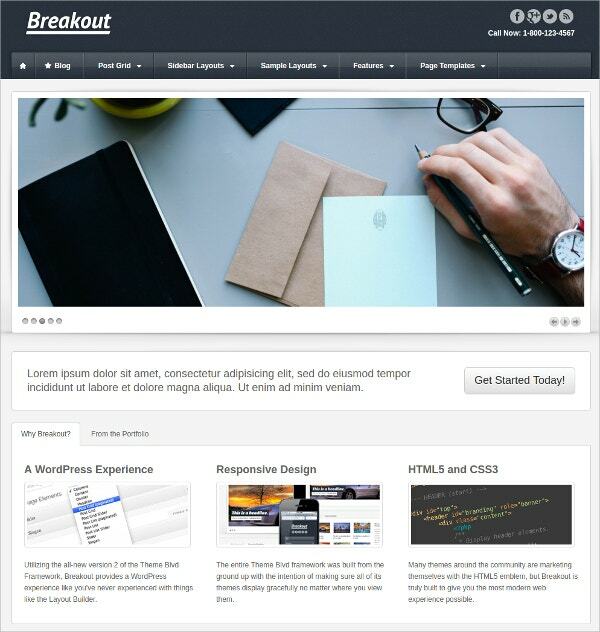 The theme is based on bootstrap and provides wide number of features. The theme features a mega menu for easy navigation. Video slider helps you to arrange many videos on the site. It includes instagram gallery to have customized images. The theme also has a number of other customizable options and also includes advanced filters. 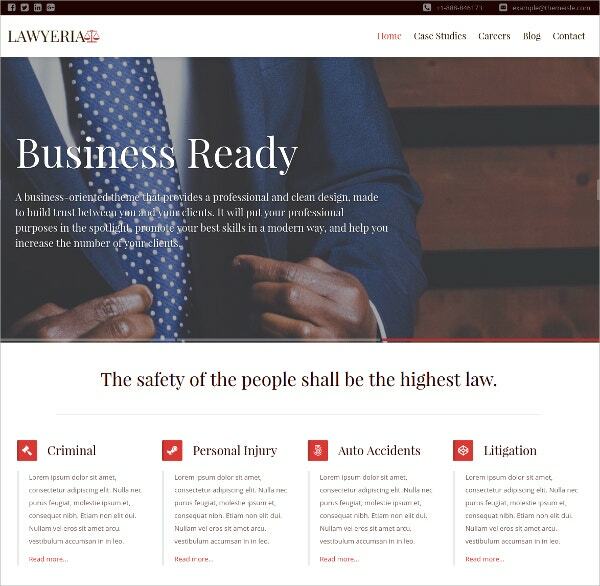 The WordPress theme is light in weight and is perfectly crafted for various law firms. The interface is clean and user friendly and offers a number of options for use. 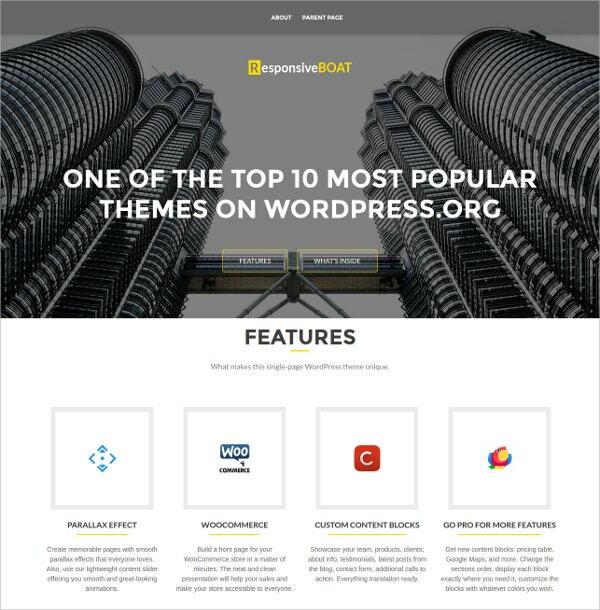 The mega menu of the theme is the best part for easy navigation. Live customization options helps in customizing options in no time. 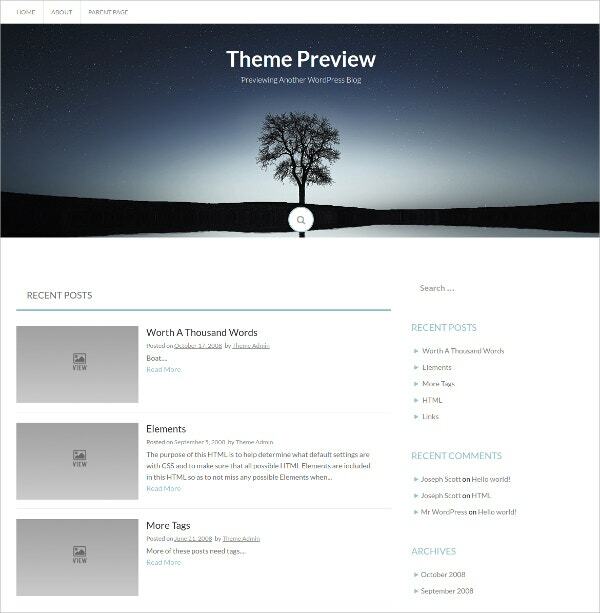 More than 50 themes and more than 1000 live threads are available. The SEO optimized theme is well supported by regular updates and also more than 20 tutorials to help. 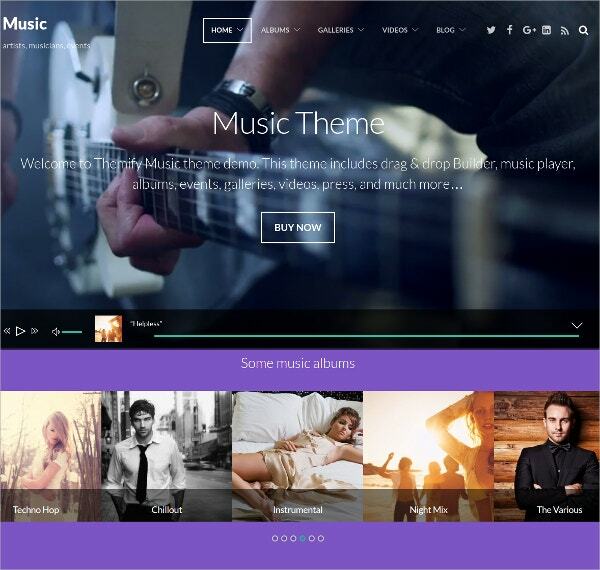 The music theme is perfect not only for sites built on music but also for other artists such as photographers and designers. 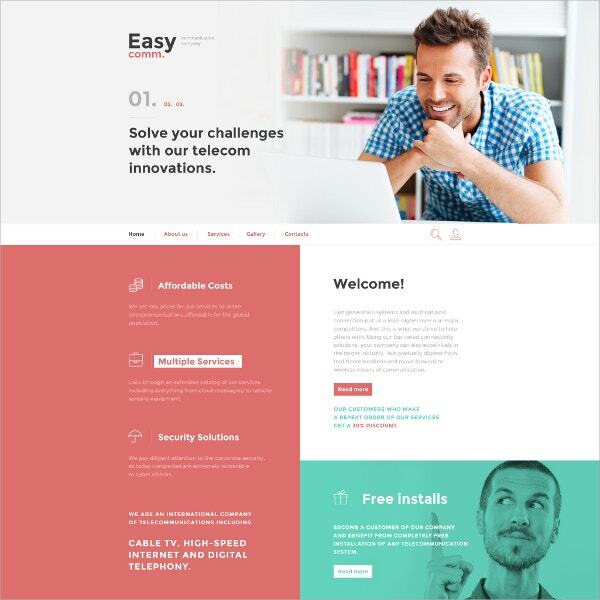 The theme consists of unlimited layouts to arrange your pages. It offers you customization option in just one click. It includes gallery for both images and videos. The theme allows customizing the background with animated colors and allows to share blogs on various platforms. AS the name indicates, the theme is made for sites that deals with auto repair and also sometimes that deals with selling of the car parts. The responsive site theme has extremely user friendly interface to navigate. It features mega menu and also mega layouts for designing. Along with the layouts, there are multiple options for sliders and color switches. The theme well supported by Ajax search, multiple languages and also multiple currencies. This theme is known to offer new updates in a regular basis. 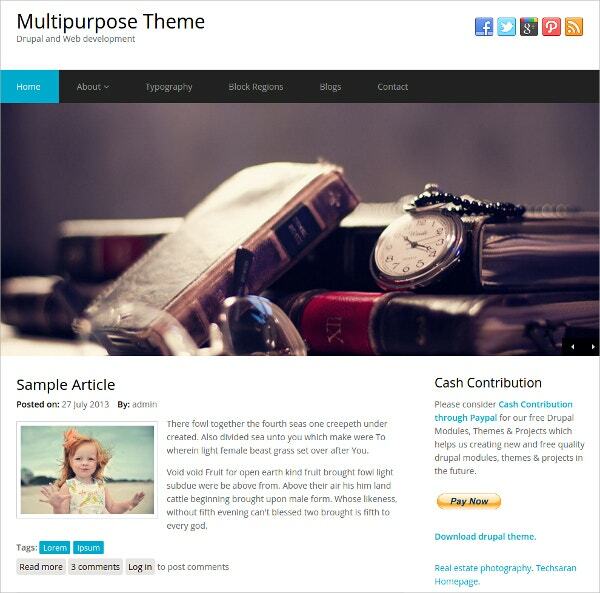 The theme is held perfect for multiple purposes and offers various new features for your help. The theme is well documented that gives it a professional look. It doesn’t matter if you are not aware of the code knowledge. Customization is available with more than 700 icons, unlimited sidebar and color options. 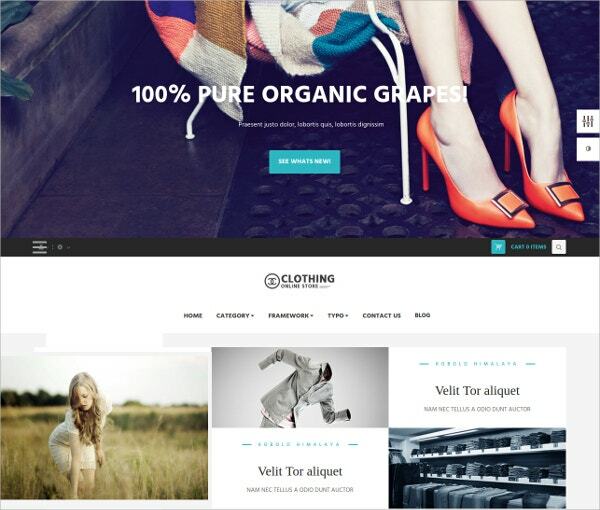 The theme is supported with Retina display and translation options along with WooCommerce and demo videos. 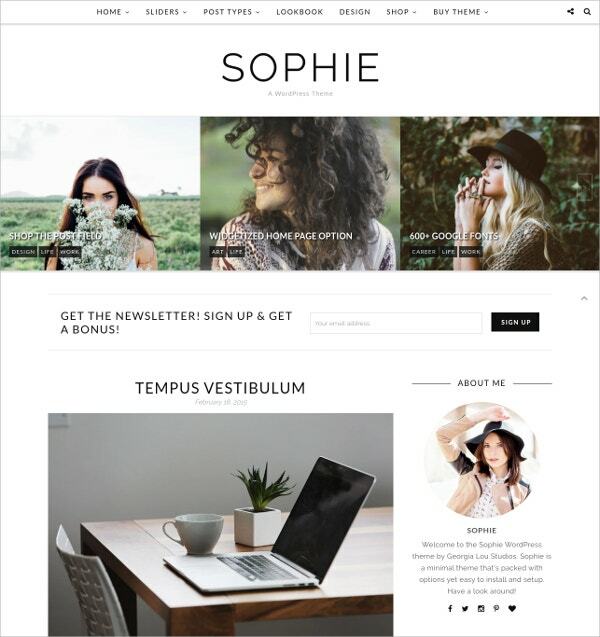 The theme Sophie is a clean and simple to use theme for sites that is meant mainly for bloggers. The theme is responsive in nature and hence is compatible with various devices. 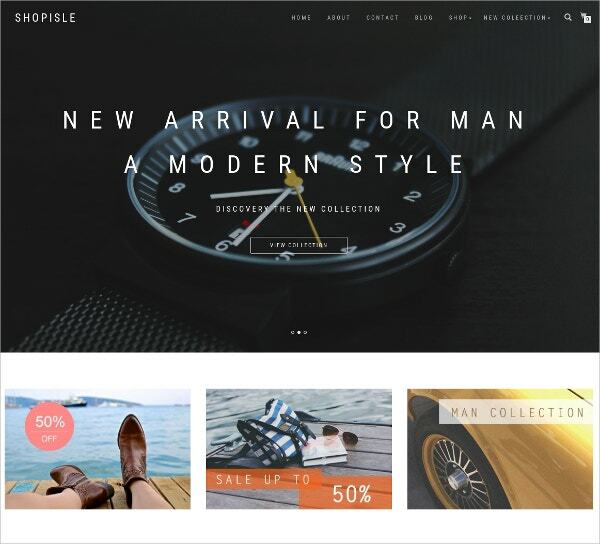 The theme is best and supported for WooCommerce. 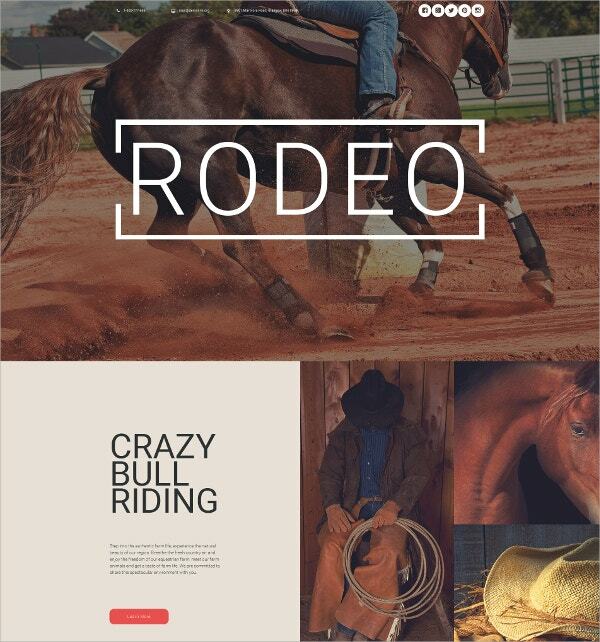 It is customized with more than 600 fonts, 11 widgets and 7 layouts. It includes translation option and also social media. The theme is featured with various hide and show templates and navigation is quite easy and simple. Simfo is a theme that is meant for blogging site but for various options such as travel, business or any company blogging site. The theme is not only interesting to known about but also is attractive look wise. It features welcome message, and featured sliders. 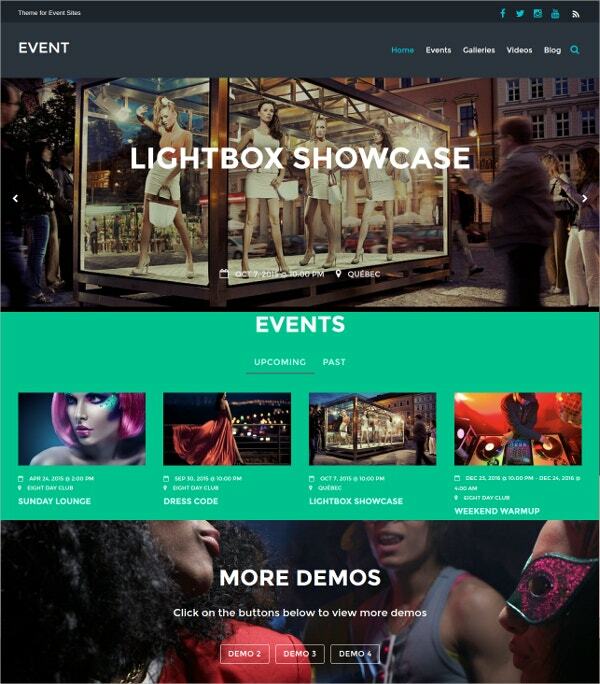 It also features lightbox gallery and service highlights. Customization is available for header, footer and skin. The theme also has multiple layouts and also features child theme support. 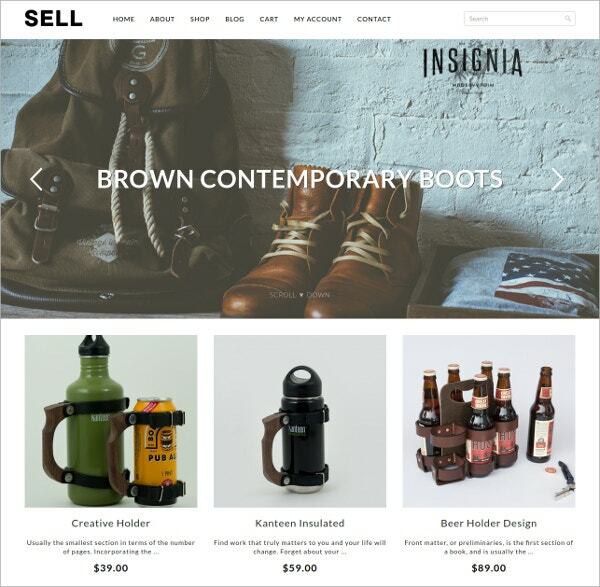 Sell is a theme ready for the WooCommerce sites. The theme is present with a clean and user friendly interface that is easy to use. The theme offers not only responsive option but also is compatible with various browsers. Customization option is there for a number of options such as widgets and themes. The theme video can be viewed before setting up. The theme is absolutely SEO optimized and is also supported hugely by updated on regular basis. 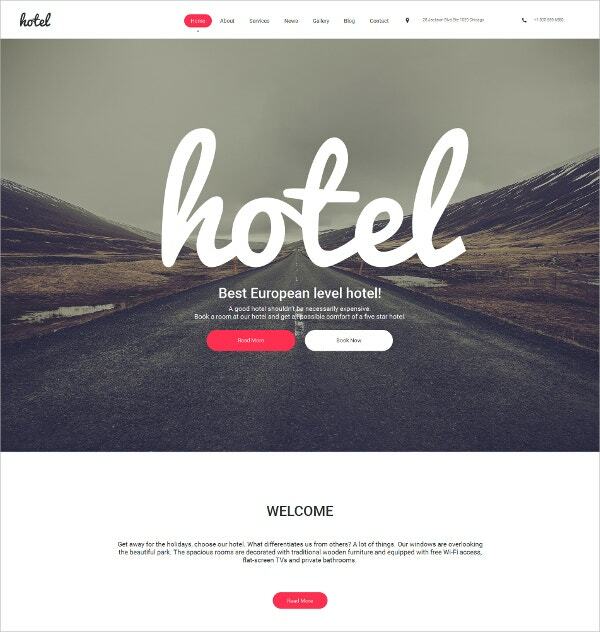 This theme is a perfect piece for sites that have an option for communicating with their customers. Also this can be a perfect piece for the blogging sites that are communicative. The theme is highly responsive in nature and is supported in iPhone iPad also. The stock photos are there available for lifetime. It features many different sliders for use. The theme is supported by 24 hours customer support and also guarantees a good service each time to the users. 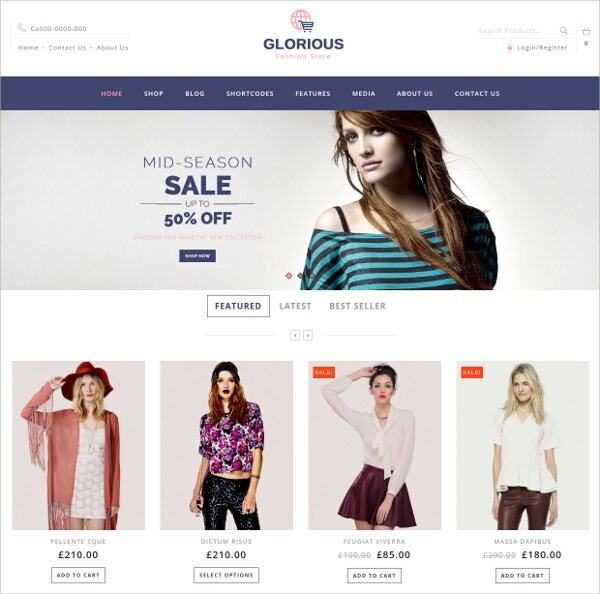 The theme Glorious is best suited for various WooCommerce sites whether it is about fashion or home appliances. The theme features a number of options to make it worth. The theme is well supported with documentation like installation guide. It is well supported with a number of different layouts. Various customization options are there to make a site worth working. The theme includes various social icons and also is supported by video tutorials for learning. 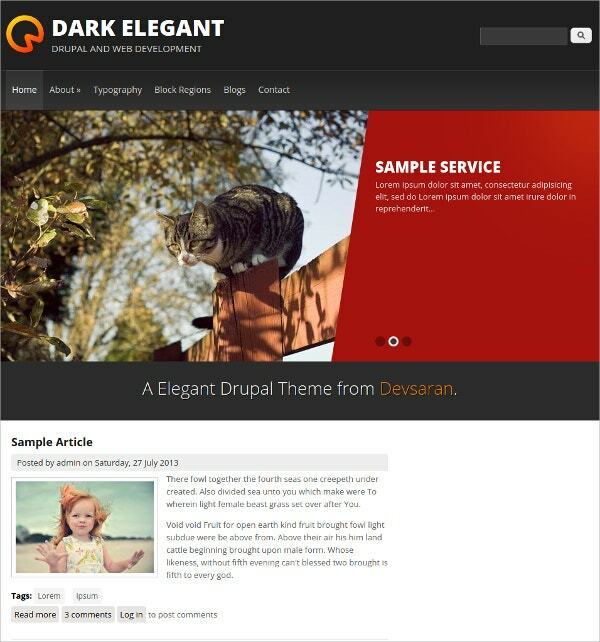 Dark Elegant is a drupal theme made exactly for business portfolio websites. It is not only clean in its interface but also beautiful to look at design wise. The theme features different layouts, sliders and a drop down menu option. It has 12 regions with customizable backgrounds. It is supported by not only minimum but also various options of typography. The theme is supported by multiple languages and is based on HTML 5. Responsive boat is a responsive website theme that is best used by various corporate owners. It is not only user friendly but also has a colorful design to make it attraction to look at. The theme features full screen layouts and of various types. The layouts are designed with different effects, including animations. It also features header and footer of the site as full width. The theme though is best suited for the corporate use, but it can be also used by personal use or for business portfolio. If you like a particular website more than others, it is probably because it is responsive. A responsive website makes the audience feel wanted, like they are a part of it and that they are involved. A responsive website is usually preferred because it is easy to use and navigate. If your website is really tough to operate, you’re likely to see a decline in the number of visitors. So if you have decided to use responsive websites, you can look up Responsive Website Templates. Free responsive website templates – Such free websites would be perfect for beginners who are just testing the waters. For them, the only way of getting responsive websites is to use free templates. Premium responsive website templates – As the name suggests, such premium websites are of top quality. These are some of the best templates available on the web and would be of great use to you. Responsive themes website templates – All websites have beautiful themes which appeal to the visitors. It needs to be attractive and well designed. For that, you could look up some theme templates online. If you’ve not made much progress with ordinary websites, it is time to upgrade to a responsive one. A responsive website would be the best thing you’ve ever done. You can make creating a responsive website much easier, by simply downloading responsive website templates. So what are you waiting for? You May also See Responsive PHP Templates. Make sure you keep in mind the purpose while selecting the template. The kind of template you select will largely depend on the kind of website you’re planning to start. Choose wisely when it comes to responsive website templates. Do not rush into the decision; go through all the options in front of you and make an informed decision. Only choose customizable responsive website templates. These templates are really easy to edit and customize, which allows you to get exactly what you wanted. At template.net, we have some of the best templates in store for you if you’re planning to download responsive website templates. So come on, give it a try and see for yourself.